It’s officially summer which means your family will be spending more time outside the next few months. Now that the kids are on summer vacation, it can be easy to get busy with outdoor activities. While outdoor exercise is a great way to keep your kiddos healthy during the summer, making sure they get enough water is just as, if not more, important. Drinking lots of water can seem boring to kids, but it doesn’t have to be! Here are a few sneaky ways to get your kids to drink more water. Take a few small, fresh fruits like strawberries, blueberries, blackberries and raspberries and add them to a glass of water. You can also create fruit ice cubes by adding pieces of fruit to ice trays, and filling the trays with water. Freeze the trays, then drop a few “fruit cubes” into a cup of water. You can also add a few squeezes of fresh lemon or lime juice to the ice trays for extra flavor! Let your child pick out a special cup or water bottle, and only let them use that cup/water bottle for drinking water. Make sure to leave this special cup or water bottle where your child can reach it, so it is easy to grab on the go. One of the easiest ways to get your kids to drink more water is to set an example by drinking more water yourself! Make sure they see you drinking it, and enjoying it. Use phrases like “Yumm, water is my favorite!” or “So refreshing!” if you need to be more convincing. Make sure your refrigerator stays well-stocked with water bottles. Having water bottles that are ready to grab and go is super convenient, especially on those days when you’re in a hurry. Most kids are more likely to drink water if it tastes cleaner and fresher. Using a point-of-use water filtration system is a great way to ensure that your water is fresh, clean and free of chemicals and pollutants. 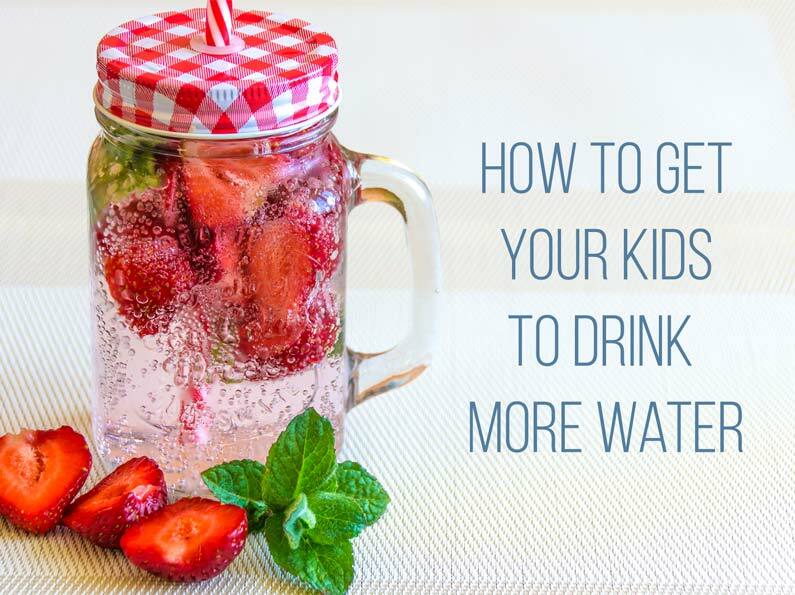 How do you get your kids to drink more water? Share your tips with other parents to keep more kids healthy and hydrated this summer!